Our book was about a society that takes place in future Chicago. 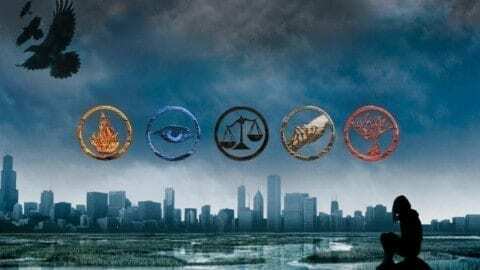 There are 5 factions in their world, Amity, Candor, Erudite, Abnegation where our protagonist originates from, and Dauntless where she transfer to. Our protagonist name is Beatrice / Tris and she’s Divergent which means she doesn’t fit into one faction nethertheless she can fit into all the factions or just multiple ones. Her society don’t like Divergents because they aren’t able to be controlled, which makes Divergents seem like they hold more power. Nethertheless, if they found out you’re Divergent they kill you and that’s what our protagonist was trying to protect herself from. Our argument for the book Divergent was to kill of the faction Erudite which is the intelligent, before they could inject the serum to the faction Dauntless which would mind control them to fight against Abnegation because Erudite wanted to overthrow that faction. So what we would to fight against the hegemonic ideologies is we would give everyone serum which would make the “ wake up ” from the oppression that is happening. Once they have woken up they would go against the government. The government would then surrender. There would be no more factions and everyone can live how they would like to live, no more factions, no more oppression. Divergent by Celeste is licensed under a Creative Commons Attribution-ShareAlike 4.0 International License. Unwind Pecha Kucha PresentationThe Glorification of Serial Killers in Society Today. this presentation was very interesting to me because it gave new perspective to the book. Although this book is futuristic, it is quite relevant to our own society today. I like how you added your thoughts on a few of the problems within the book, as well as addressing them fairly. Thank you for sharing! This is a pretty interesting story you have here. Divergent was quite a good book but there were quite a few things wrong with it, which you address. I like your serum solution and the idea of waking up from an oppression. This post and the book definitely have an impact on me and my perception of what is going on around me in the world. Hello Celeste, your presentation was very fascinating and captured the meaning of the book in a very good light. This is one of my favorite stories and the way you explained it made me remember why I loved reading it so much. This book does a great job with portraying issues with in a society. It shows us the drastic changes that we could experience ourselves in our own society. I hope to read what else you have to say about other books! Hi Celeste! I enjoyed your presentation, because even though I read it a year ago, Divergent still remains one of my favorite books. I like how you concluded your write up “the government would then surrender. There would be no more factions and everyone can live how they would like to live, no more factions, no more oppression”. Divergent brings up so many issues in society, and it is a dystopian novel about what our society could turn into if we continue to categorize people. I am happy that you recognized this in your presentation. Keep up the good writing!